Are you concerned about fracking? Natural gas pipelines and compressor stations? Have you tried to make the argument that fracking is unsafe, yet haven’t yet found a way to do so with research? Physicians for Social Responsibility has just released a new comprehensive report with summaries of recent medical and scientific studies on just how dangerous fracking can be -- everything from the associations between proximity to fracking sites and premature births to methane leakage impacts to the atmosphere. View the recording below. Want more free services like this webinar? 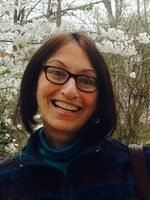 Barbara Gottlieb is Director of Environment and Health at Physicians for Social Responsibility, where she guides PSR's national work on climate, energy and air quality. She is the lead author or coauthor of PSR’s major reports on the health implications of fossil fuels, including Too Dirty, Too Dangerous: Why Health Professionals Reject Natural Gas, among other reports such as; Coal Ash, The Toxic Threat to our Health and Environment, and Coal's Assault on Human Health. Chad Oba is the co-chair of Friends of Buckingham County, Virginia – a community group concerned about a proposed natural gas pipeline and the impact it has on their property rights, and their health and safety. Today she joins us to talk about regulatory failure, environmental justice, and compressor stations.